As a Detroit DUI lawyer, I interact with people facing a Michigan 1st offense drunk driving charge practically every day. Almost automatically, and without prompting, many of these people want to explain that they don’t have a drinking problem. It almost goes without saying that being charged with DWI at least raises concerns about a person’s drinking habits, especially from the court’s point of view. At least someone facing a 1st offense can rightfully point out, in response, that nothing like this has ever happened before. That, however, is far from enough. In this 2-part article, we’ll look at how someone facing a DUI in Michigan, and particularly a DUI in the Detroit area, where I practice, will have to be proactive in refuting the kind of built-in, preconceived notion that they have, or at least are at increased risk to develop a drinking problem because they have been arrested for drunk driving. The problem is that “the system,” meaning the court system, has a way of functioning somewhat different in reality than it’s supposed to in theory. This should make immediate sense to anyone who is required to test for alcohol (and/or drugs) as a condition of bond after a DUI arrest. What happened to your “presumption of innocence”? How did you go from supposedly being presumed “not guilty” to being ordered to not drink, and then having to prove, at your own expense, that you’re not? While this isn’t the worst thing in the world that can happen to you, it does provide a pretty accurate example of how very different things actually are from how they’re “supposed” to be. A fine, if almost funny example of this occurs if you call the IRS. Once you get on the phone (and on hold), you’ll hear lots of messages explaining that your wait is because all available representatives are on the phone with other “customers.” Are they kidding? Maybe in their pamphlets they call taxpayers “customers,” but no one I’ve ever met chooses to do business with them. In the real world, we’re “taxpayers” at best, and “victims” at worst, but never, at any point, does anyone call himself or herself a “customer” of the IRS. In the real world of DUI cases, the fabled “presumption of innocence” gets turned on its head. While there may not be an outright presumption that a 1st offender has a drinking problem, there is at least a strong suspicion, and it starts from the first moment you’re charged. As it turns out, Michigan DUI law does presume that anyone convicted of a 2nd or 3rd offense DWI does have an alcohol problem, but that’s a whole different story. 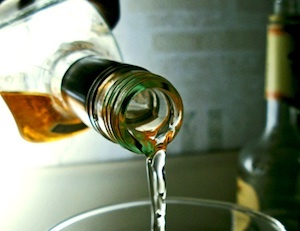 If you’re facing a 1st offense DUI, and you don’t actually have a drinking problem, or don’t otherwise just plan on throwing yourself at the mercy of the Court while admitting to and asking for help to get over a drinking problem, you need to be protected by a lawyer with specialized knowledge about the clinical development and diagnosis of alcohol problems who can prevent you from being perceived as having a problem that you don’t. I am that lawyer. I study how alcohol problems develop, how they’re diagnosed, and how they’re treated at the graduate, University level. I speak and understand the specialized language of substance abuse clinicians. Beyond just defending your freedom and your legal interests, I can also defend you from being seen as some kind of “risky” drinker just because of an instance of poor judgment. Perhaps the scariest part of the whole DUI situation is that the person who evaluates your drinking habits and makes the decides whether you’re a risky drinker or not isn’t even a clinician. The whole “alcohol evaluation” process, including a legally required written alcohol screening test, is administered (and interpreted) by a probation officer, a far cry from any kind of clinician. In the real world, that’s how it’s done, although that’s a lot like having the school nurse screen you for cancer. The big risk at this stage isn’t that the probation officer will miss a drinking problem; it’s that he or she will “find” one that doesn’t exist. In the DUI world, what is known in the clinical world as “over diagnosis” is a grave concern. “Better to be safe than sorry” is a concept we want to avoid in your DUI case. This kind of over protective, or prophylactic approach is more focused on the ideals of public safety rather than individual rights. The failure of reasoning that will lead you into classes or counseling you don’t need holds that, even if you don’t really have a drinking problem, it’s still better that you get some counseling or education that might be unnecessary than it is to ever miss the warning signs of a potential alcohol problem and send some risky drinker back out on the road. That’s not fair, and I have the specialized knowledge that can prevent that from happening. That makes me different as a Michigan DUI attorney. In the Part 2 of this article, we’ll continue our examination into avoiding the perception that you have a drinking problem you don’t in a 1st offense DUI case by digging more deeply into the role of the probation officer and how he or she directly affects what happens to you, and what we can do about changing that to make things better.